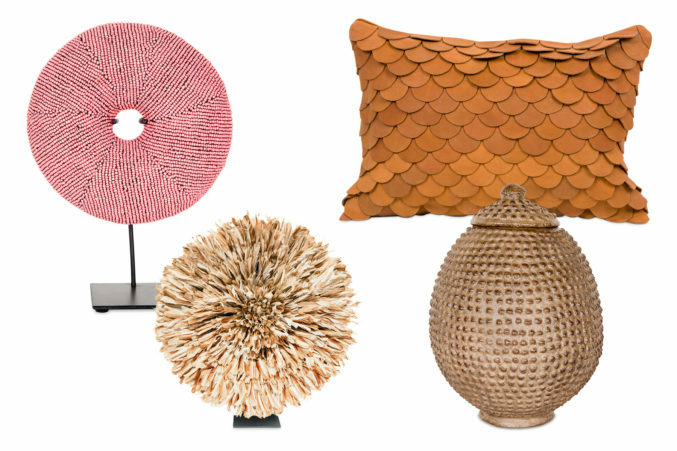 Though there are a vast variety of colors, textures, and materials in Kanju, a luxury interiors and decor showroom in the Design District, there’s a strong sense of cohesion. That’s likely a reflection of the collaborative nature of African fine artists and artisan groups with which Kanju has partnered to bring the continent’s art and designs to Dallas. Stop in for one-of-a-kind pieces of African artwork, leather fringe pillows, clay bead chandeliers, and colorful Juju headdresses—all handcrafted and with a story to tell.